A study published Monday in the Lancet assessed the harms of various substances and found that alcohol caused more harm in the United Kingdom than heroin or crack cocaine. The study was done by the Independent Scientific Committee on Drugs, which is headed by Professor David Nutt. Until this time last year, Nutt was head of the governmental Advisory Council on the Misuse of Drugs, but he was fired for criticizing the then Labor government as basing its decision to reclassify marijuana on politics rather than science. He also offended government sensibilities by saying that riding horses was more dangerous than taking ecstasy. 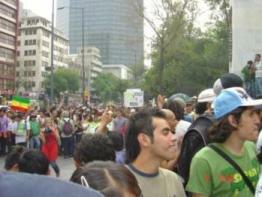 After his firing, he and other scientists formed the Independent Scientific Committee on Drugs. The study, Drug Harms in the UK: A Multicriteria Decision Analysis, assessed the relative harms of different legal and illegal drugs to drug users and to society and concluded that "alcohol was the most harmful drug (overall harm score 72), with heroin (55) and crack (54) in second and third places." It also demonstrated that Britain's drug classification scheme bears little relation to the harms caused by the various substances it regulates or fails to regulate. Alcohol, ranked most harmful in the study, is not a controlled substance, but cannabis (20 points) is Class B, the second most serious drug schedule. LSD (7 points) is a Class A drug, the most serious drug schedule, while tobacco (26 points) is not a controlled substance. "Our findings lend support to previous work in the UK and the Netherlands, confirming that the present drug classification systems have little relation to the evidence of harm," the authors said. A group of experts looked at drug-specific mortality, drug-related mortality, drug-specific damage, drug-related damage, drug-specific impairment of mental functioning, drug-related impairment of mental functioning, loss of tangibles, loss of relationships, injury, crime, environmental damage, family adversities, international damage, economic cost, and harm to the community and assessed weighted values for each to arrive at a final figure. "The weighting process is necessarily based on judgement, so it is best done by a group of experts working to consensus," Nutt and his coauthors said. "Extensive sensitivity analyses on the weights showed that this model is very stable; large changes, or combinations of modest changes, are needed to drive substantial shifts in the overall rankings of the drugs." Review: "Orange Sunshine: The Brotherhood of Eternal Love"
As a teenager in remote South Dakota in the late 1960s and early 1970s, I had friends who traveled to Southern California and returned bearing strange gifts indeed: Orange Sunshine brand LSD, hash oil called "Number 1," Thai sticks. I had no clue at the time I was becoming a participant in a messianic drug-selling venture that spanned the world from its headquarters in Laguna Beach, but it turns out I was. That stuff my friends brought back from California was all thanks to the efforts of a group of Orange County surf bums and trouble-prone working class kids who took acid, got religion, and set out to change the world. 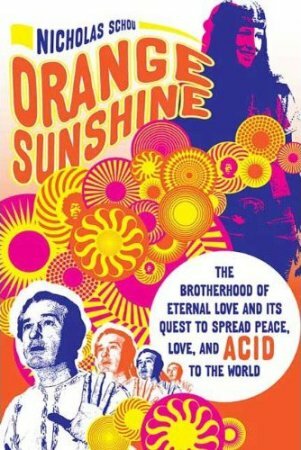 They ended up calling themselves the Brotherhood of Eternal Love, and "Orange Sunshine" is their story. And what a story it is! Led by a charismatic Laguna Beach street-fighter and troublemaker turned acid-washed mystic named John Griggs (who later died after taking a massive dose of synthetic psilocybin), the Brotherhood adopted as its mission the turning-on of the whole planet. What is shocking is how far they came in achieving their goal. Idealistic zeal also had a hard time dealing with pressure and betrayal. While Brotherhood members stayed remarkably loyal for years, one of them eventually cracked under police pressure (and because of disaffection with a group that had drifted from its noble goals), allowing the feds to roll up their operation in 1972. And Timothy Leary, the apostle of acid, whom the Brotherhood worshipped and who stayed with the Brotherhood in Laguna Beach, also turned on it, spilling the beans to the feds after being arrested in Afghanistan. What made Leary's betrayal sting even more painfully was the fact that the Brotherhood had financed the successful Weatherman/Black Panther effort to break Leary out of prison after he had been busted in Laguna Beach. "Orange Sunshine" is full of great stories, but my favorite has to be the Laguna Beach Christmas party in 1970, when 25,000 hippies headed for Laguna Canyon for a Woodstock-style event. On Christmas day, a cargo plane hired by the Brotherhood flew over the gathering and bombed the crowd with several tens of thousands of hits of Orange Sunshine. Now, that's what I call a party! But all parties must come to an end, and that was true for the Brotherhood as well, although, despite bold pronouncements from the feds that they had broken the group in 1972, individual members of the Brotherhood kept at their dope-dealing trade for years afterwards. All in all, "Orange Sunshine" is an eminently readable trip down memory lane to the beginning of the contemporary drug culture and a fascinating look at how a small group of high-minded kids ended up changing the world. Internet rumors of his passing have been confirmed for us by a friend of Dr. Hofmann's. Dr. Albert Hofmann died of a heart attack this morning at his home in Basel, Switzerland. Hofmann inadvertently discovered the effects of LSD while researching the substance in 1943. He subsequently self-administered the drug deliberately and produced the first accounts of its powerful psychedelic effects. If you think 102 is old, just imagine how long he might have lived if he never did drugs! Update: The above line is sarcasm. Before posting it, I asked a couple smart people if they thought anyone might misunderstand and we decided it probably wouldn't be a problem. Well, it was, and a few commenters have come away with the incorrect impression that I think Dr. Hofmann would be better off if he never used drugs. This comment explains what I really meant. I won't stop cracking jokes in the blog, but I do apologize for this one.